Jennie and Mark Reed had their eyes set on operating a bed and breakfast for some time. In fact, it has been a dream of theirs throughout their entire marriage, which will mark its 29th year in July. Memorial Day weekend of last year, that dream became a reality when they purchased the house that sits at 324 E. William St. in Delaware. Several things about the house captivated them. For Mark Reed, being within walking distance of downtown was a plus. But for both of them, the history of the house — and the detail and character that comes with a “period” house — was a significant selling point. While there was some historical information provided during the purchase, Mark Reed took it upon himself to discover everything he could about their new home. 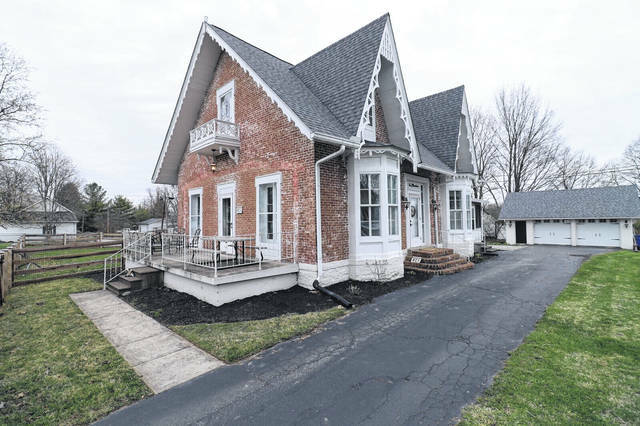 He suspects the house dates back to at least 1854, which he said is when it first appears on a map. Firsthand stories he found also link the house to the Underground Railroad. “Stories from as late as the 1970s describe a hidden staircase leading from a cellar, which was accessible only by raising the floor under an open window, to a safe space in the eaves of the house,” their website states. The website also points out the ideal location for such a stop, with the cover of the Olentangy River just a few hundred feet away. The house features two rooms, both with a queen-size bed. One of the rooms also features the additional room where the stories suggest the former slaves were hidden, and can sleep four in total. The shower room is separate from the half bath, which helps to alleviate potential logjams in the mornings and evenings. 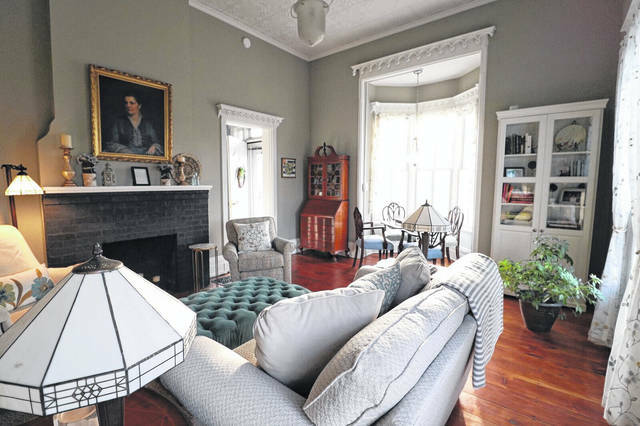 Conversations the night before might be necessary to discuss schedules, as well as deciding on a time for breakfast, but for Jennie Reed, that represents the charm of staying at a bed and breakfast. Those who decide to stay at “The House at Seven Oaks” will be treated to a variety of breakfast options that include chicken and waffles, quiche, southwestern omelets, and a traditional country breakfast that includes fresh sausage, grits and buttermilk biscuits. Both said they want to represent the area through the products they use to cook with, such as getting their bacon and sausage from Stratford, or other products such as jams, jellies, and syrups from the Community Market. Mark Reed said the house will feature Blend of Seven wines once they receive their license. Because they don’t offer a dinner menu, Mark Reed said it is important for he and Jennie to be able to recommend restaurants around Delaware. “The connection for us and the restaurants, even though they don’t know it yet, is really important to us,” he said. Before opening their house to paying customers this weekend, the Reeds have been hosting friends and family in a walk-through of sorts, treating their stays as they would with guests. It has allowed them to fine-tune their services, readying them for the real deal. Whether it be the distance of power sources from the beds or the blinds on a window, Mark Reed said the trial runs have helped them to see all of the finer details that will make guests’ stay a pleasant one. “It really is all in the small details,” he said, while also noting an older house requires a consistent system of tuning. “People have described it as a nice combination of grandma’s house and a modern farmhouse. It’s very simple, not a lot of over decorating. That’s the way we live, bed and breakfast or not,” Jennie Reed said. Ultimately, Mark Reed hopes the House on Seven Oaks can offer a “top-drawer” housing option that he says Delaware is lacking, while also preserving the essence of what the house has meant to people through the years. “This house has been a place of temporary rest for people for 170 years, and we want to continue that story,” he said.